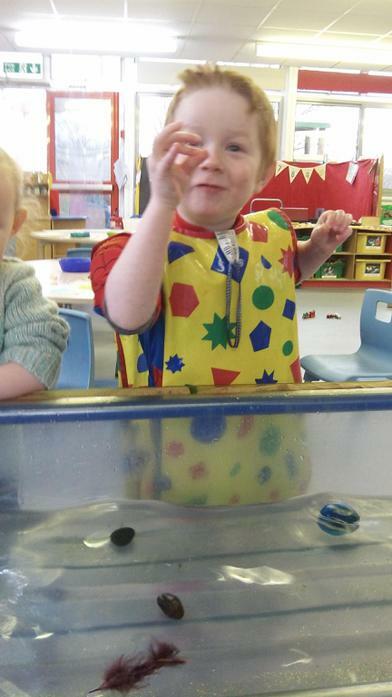 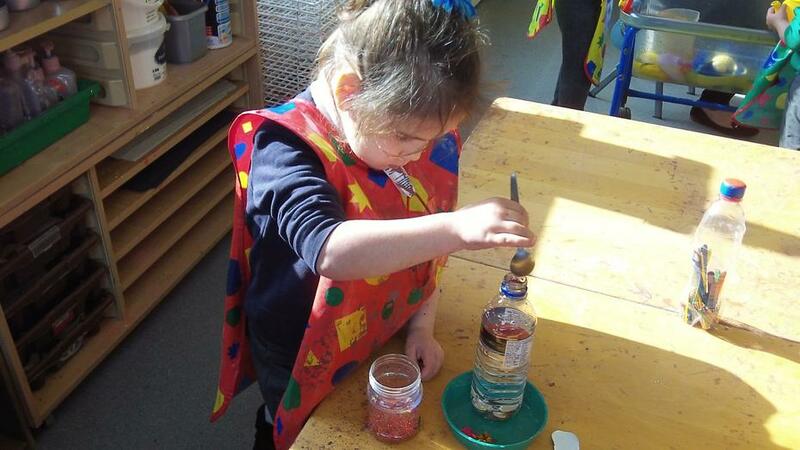 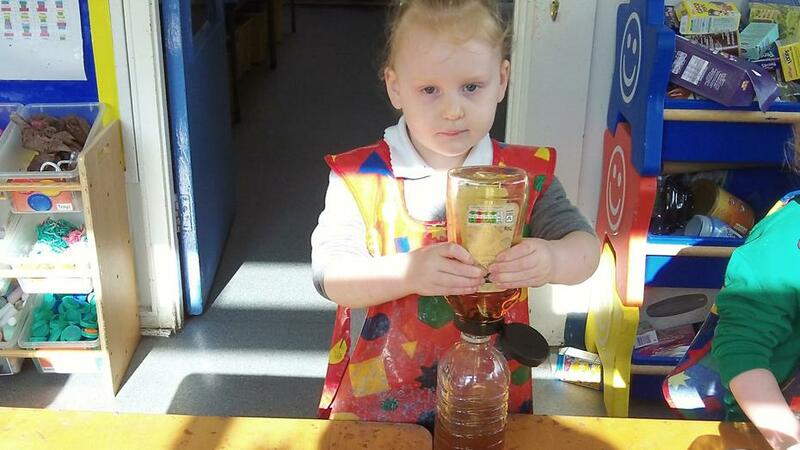 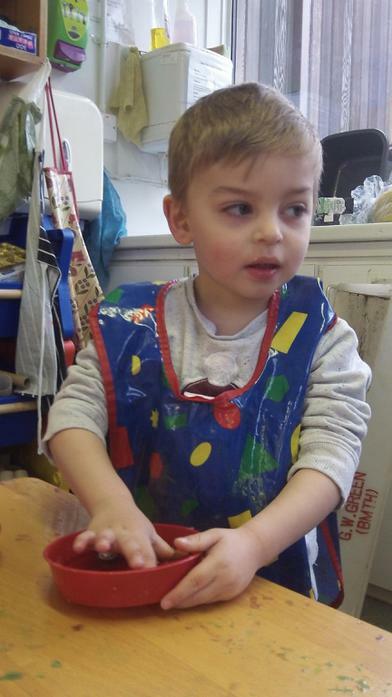 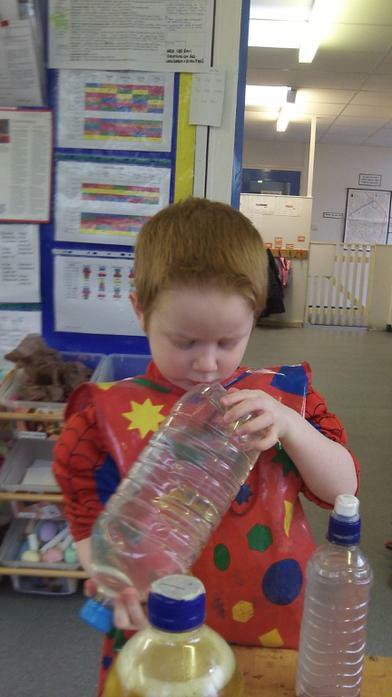 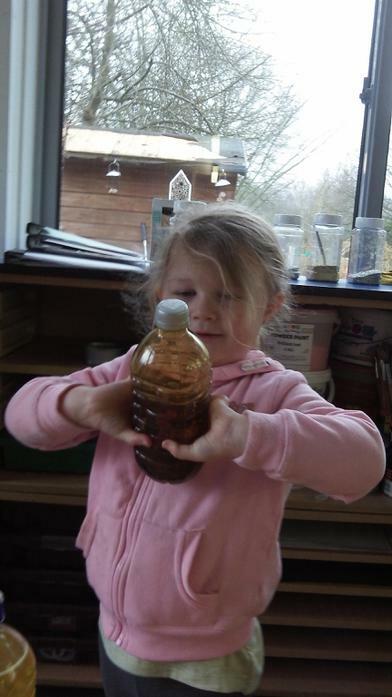 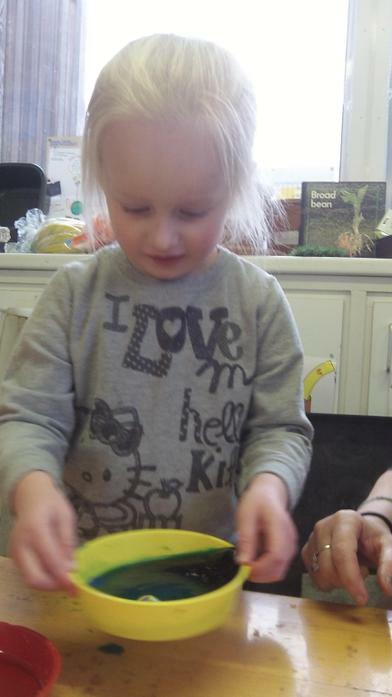 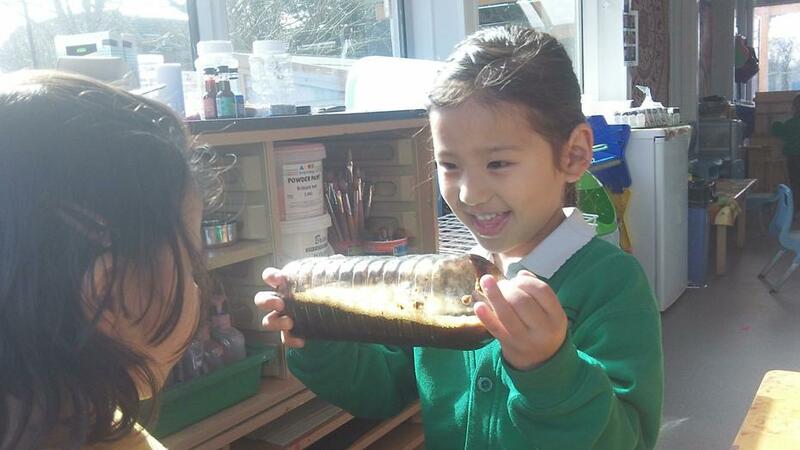 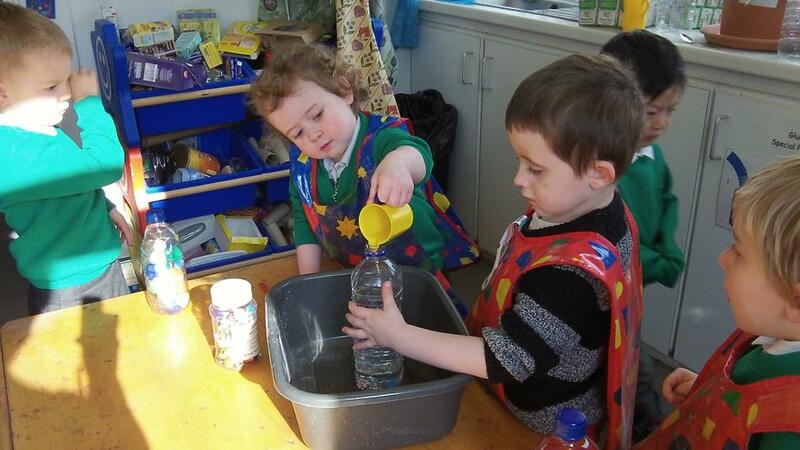 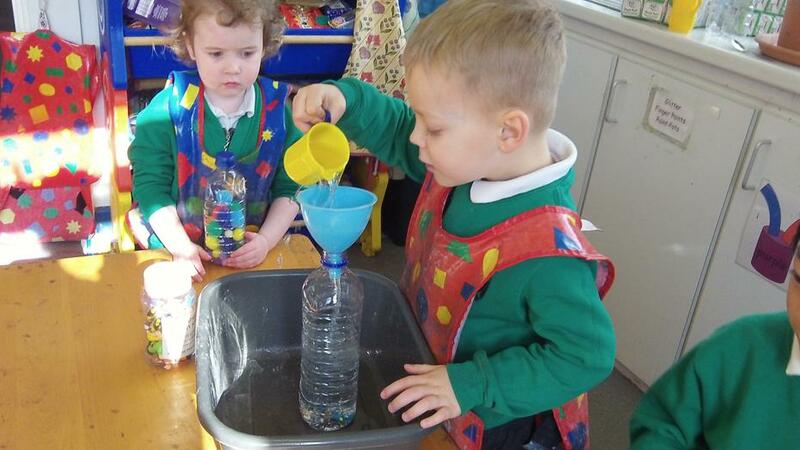 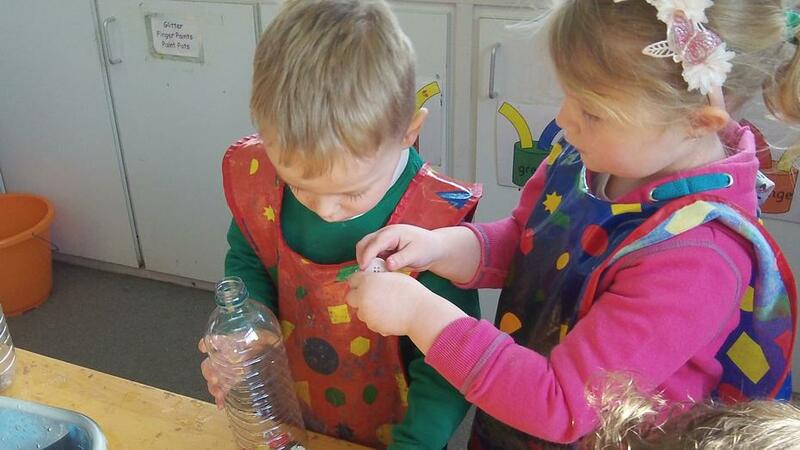 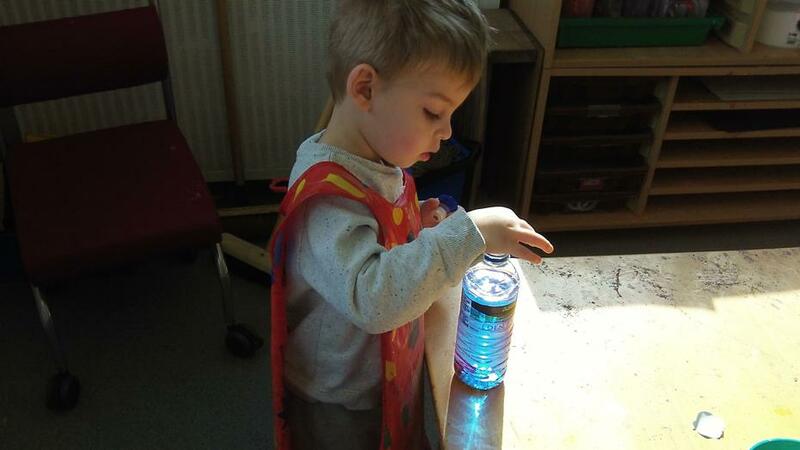 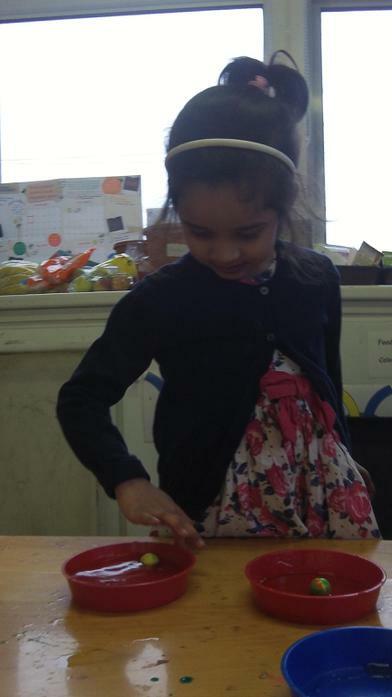 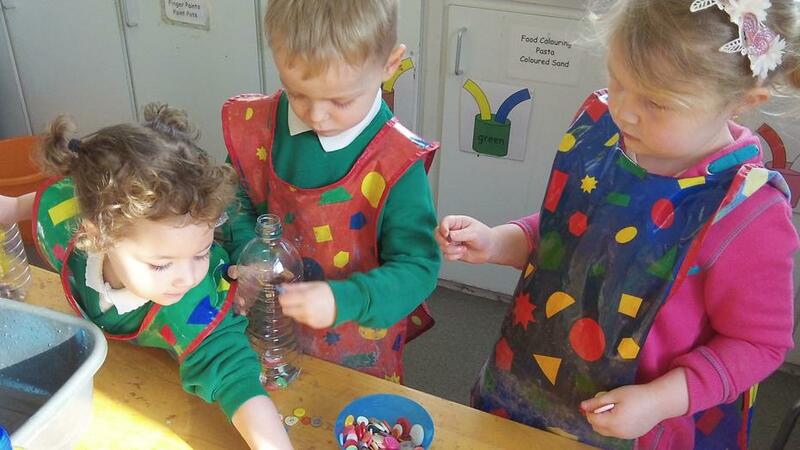 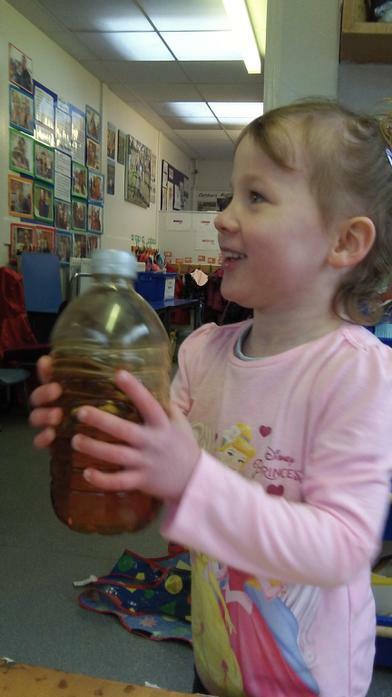 Nursery children have been taking part in different investigations to explore the behaviours of different materials. 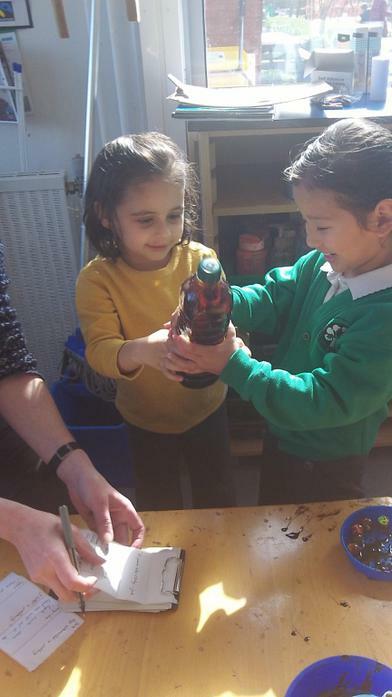 We investigated what floats and what sinks using a range of objects: feathers, corks, stones, fir cones, toy boats, shells etc. 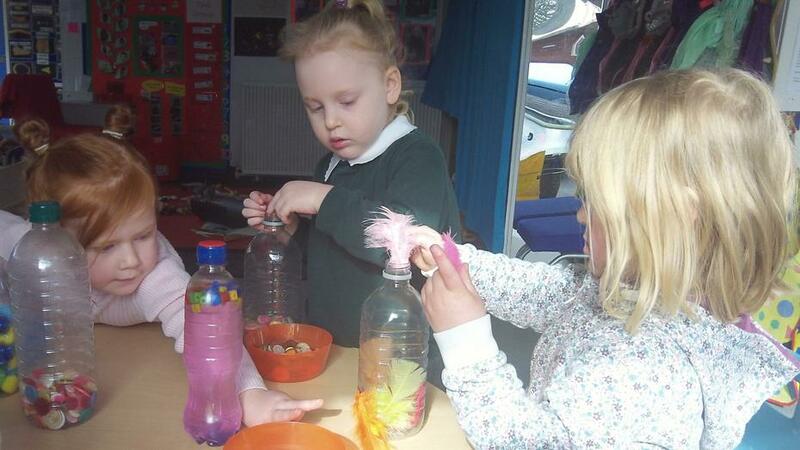 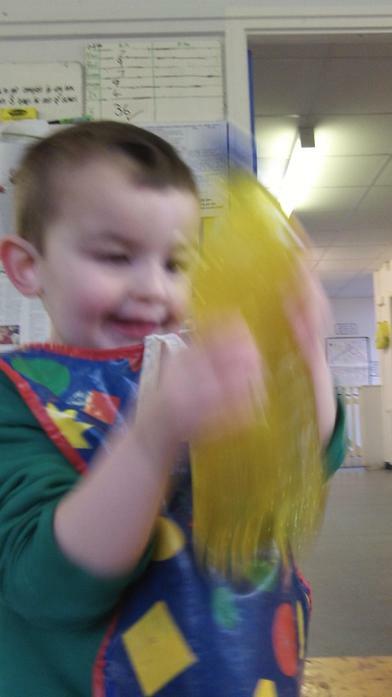 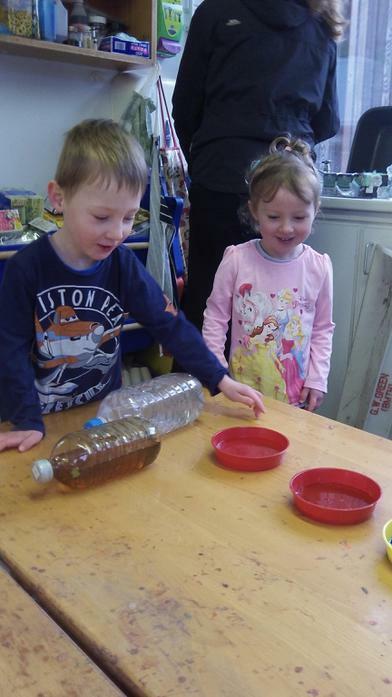 We then went on to made sensory bottles with things floating in them: buttons, glitter, pom-poms, feathers, beads, small play figures etc. 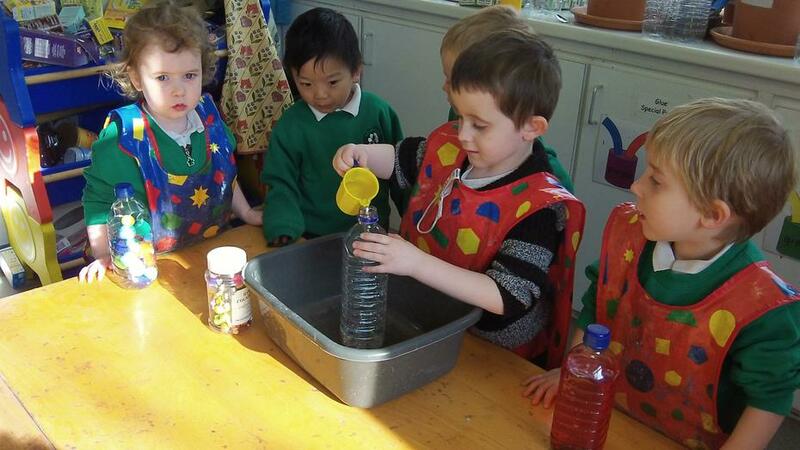 Shake it up and see what happens? 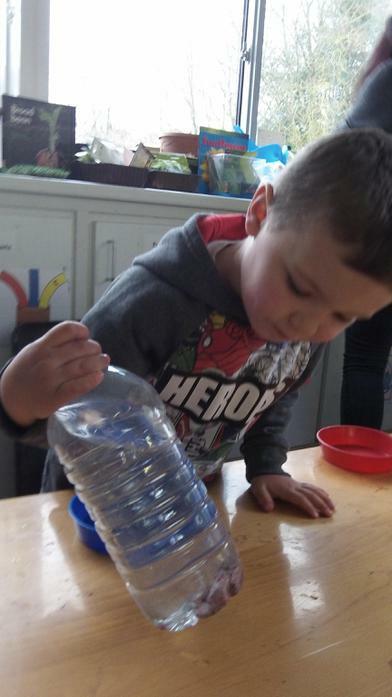 How do rubber balls move? 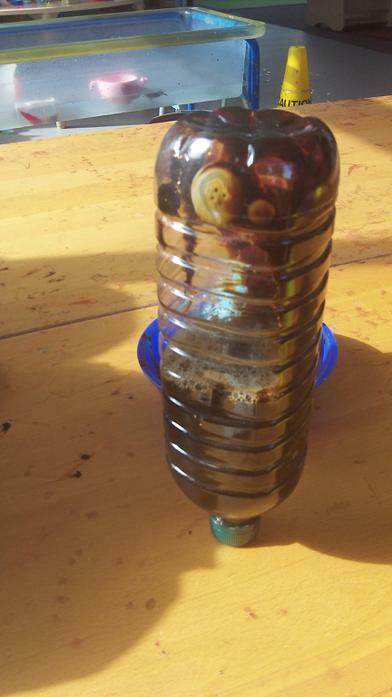 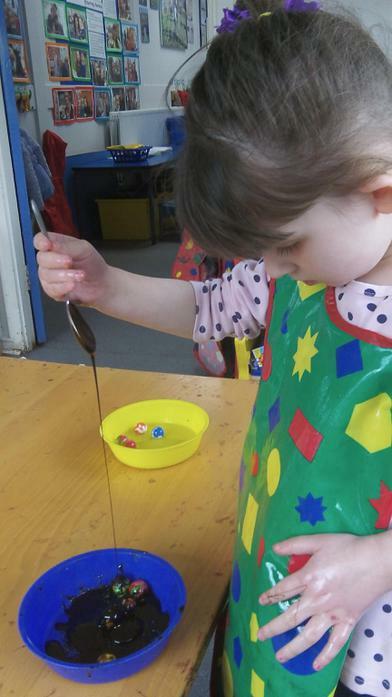 We then experimented by placing small rubber balls in a selection of substances to see how the different consistencies of liquid affected the freedom of movement of the rubber balls. 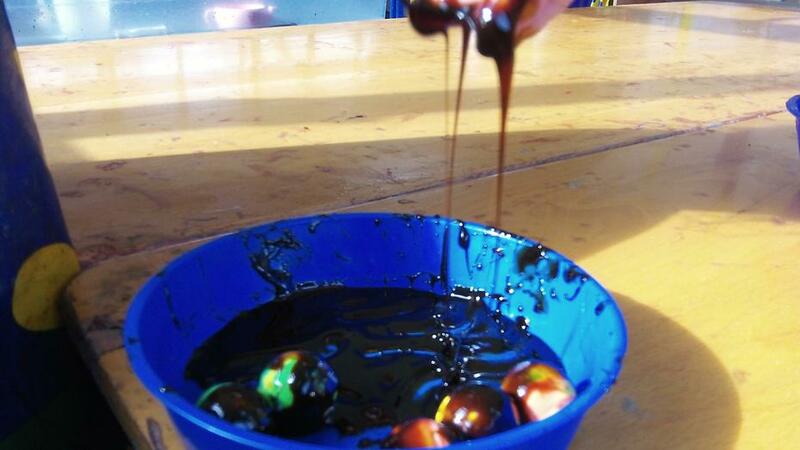 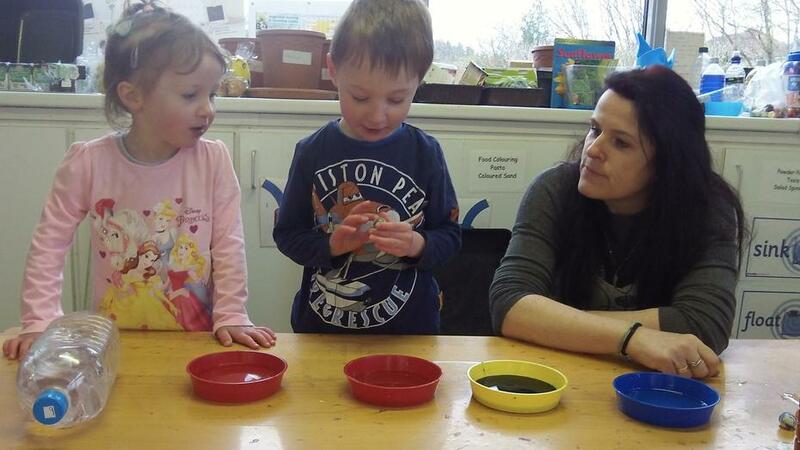 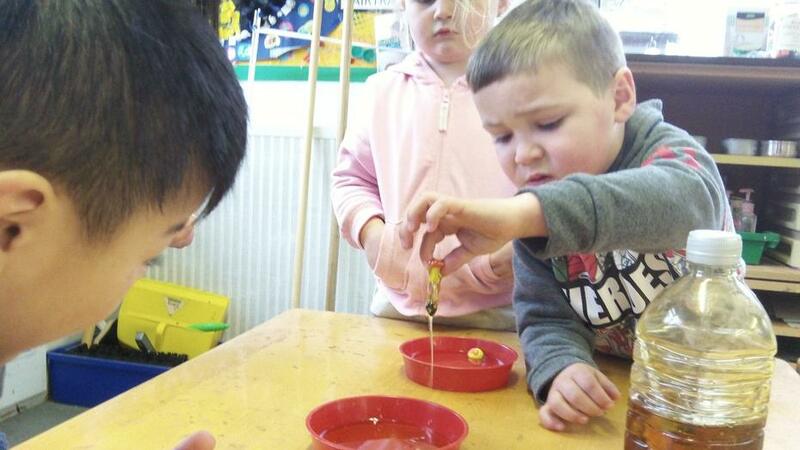 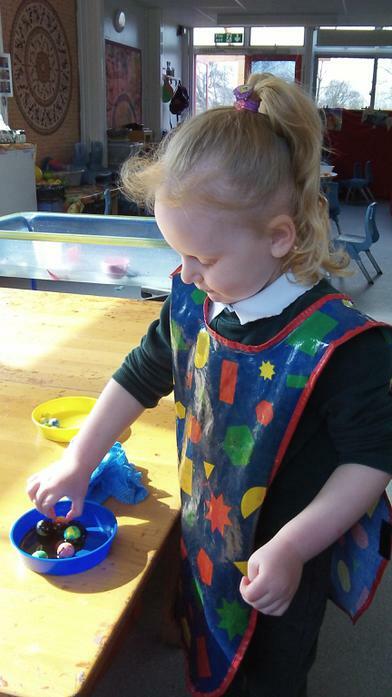 We poured water, food colouring, oil, treacle and syrup into shallow dishes and added the small balls to each. 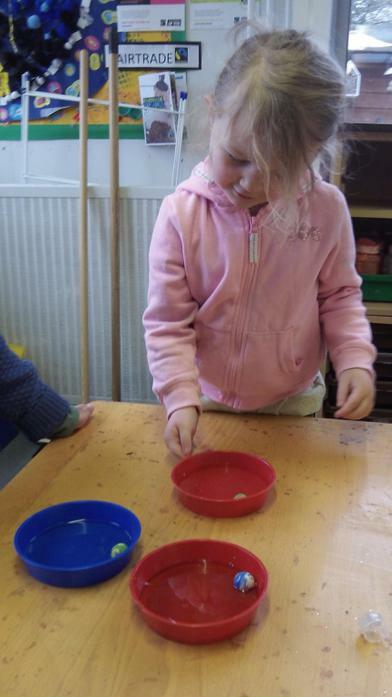 The children tilted and lifted the balls to see how they moved.